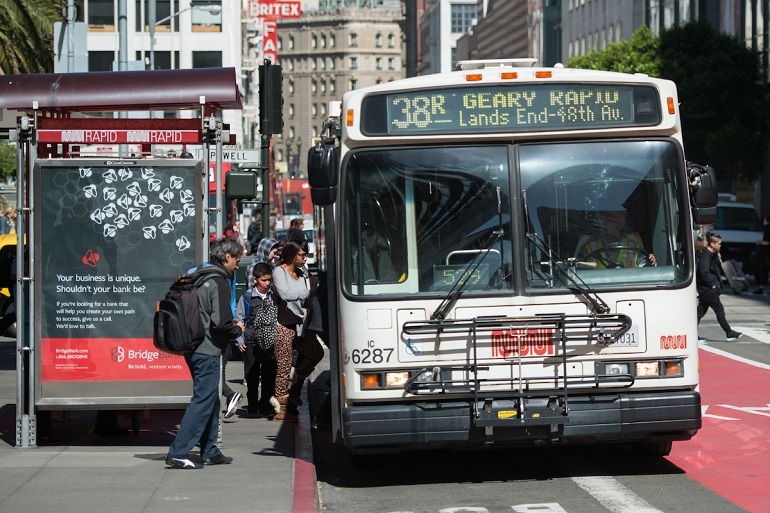 Plans to speed up bus service for more than 52,000 daily riders on Geary Boulevard could face a new legal hurdle, if a lawsuit filed by neighborhood merchants is allowed to proceed. The Geary Bus Rapid Transit (BRT) project was approved by the board of the San Francisco County Transportation Authority (CTA) in January after more than a decade of negotiations with residents, merchants and other neighborhood stakeholders. As we previously reported, construction on the first phase of the BRT project is expected to start in the fall, with the goal of creating transit-only lanes along Geary from Market to 35th Avenue, and improving pedestrian and bike safety. According to project planners, it's expected to reduce round-trip travel times on Geary by as much as 20 percent. But that could be delayed pending the outcome of a lawsuit filed by San Franciscans For Sensible Transit, a group of more than 60 merchants and other community members that have long opposed the Geary BRT project. The group is led by vocal Geary BRT opponent Bob Starzel, a Richmond district resident and former head of the SF Examiner. The suit, filed on February 3rd, 2017 in San Francisco Superior Court, alleges that the final environmental analysis for the BRT project contains “fatal flaws,” because it did not fully analyze a “no-build alternative” when studying the best option for the Geary Street corridor. The state of California requires all major developments to complete an analysis weighing the environmental benefits and costs for several alternatives, including one reflecting no action. The plaintiffs argue that the current 38R-Geary Rapid bus service would be preferable to the major construction planned to install the BRT—and save the city its $300 million price tag. With construction likely to take up to five years, the merchants argue that it could cause difficulties for businesses on Geary, due to reduced parking access for customers. The plaintiffs are asking the court to “slow down” the project by sending the final environmental analysis back to the CTA and the SFMTA for further analysis of the no-build option. They say their comments on the draft environmental review went unnoticed, and that they were given only nine business days to file comments on the final analysis, which was released on December 9th, 2016, and adopted by the CTA board on January 5th, 2017. The plaintiffs also argue that newly elected District 1 supervisor Sandra Lee Fewer should have been allowed to vote on the final EIR before the project moved forward. 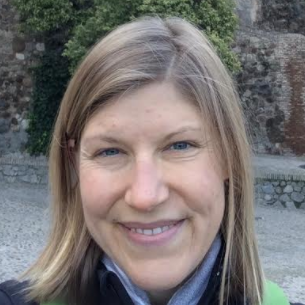 Fewer has previously expressed concerns about the BRT project, of which her predecessor, Eric Mar, was an outspoken supporter. However, supporters of the BRT project say that this is a last-ditch delay tactic on a project that had many years to accrue local feedback. The CTA is "reviewing the lawsuit and has no comment on pending litigation," spokesman Eric Young told Hoodline. He said the project team is continuing to work towards obtaining approval of the environmental review from MTA and the Federal Transit Administration, which is expected to occur this summer.